How does VNC technology work? How much does VNC Connect cost? Can I upgrade from a previous version? How is VNC Connect licensed? What does a subscription entitle me to? What do I choose when I buy? How do I apply my subscription? Do I ever need to re-apply my subscription? Can I change which remote computers my subscription applies to? How has licensing changed between VNC 5.x and VNC Connect? Do I still need a license key? How do subscriptions work with User Mode and Virtual Mode? Do I have to sign up for a RealVNC account? Why do I have to check my email each time I sign in on a new device? Do I need more than one team? How do I add a remote computer to a team? 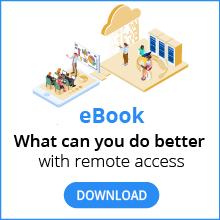 How do I invite people to share remote access? How do I name a technician? Can I promote people to help administer my team? Can I configure which people can access which remote computers? How do I remove a remote computer from a team? How do I remove a person from a team? Why has my account been suspended or disabled? How do I add instant support to my subscription? How do technicians and end users get connected? Do I need to install and license any software? How do I set up my team and get started? How does a technician start a session? What does an end user have to do? Can a technician perform administrative operations? Can an end user stop a session? How should a technician reboot a remote computer? How should a technician log out or lock a remote computer? Can a technician transfer files? Can the technician and end user chat, or leave a message? What happens if a session is interrupted? How do I see a complete session history? Can a technician see their own session history? Can I customize branding for the end user? How do I add device access to my subscription? How do I install and run VNC Connect? Can I deploy and license VNC Connect remotely? Can I install VNC Connect over RDP? Can I host VNC Connect on a network share? How do I start and stop VNC Connect? What are VNC Server ‘modes’, and which should I run? What is a ‘virtual desktop’? How do I completely remove VNC Connect? How do I connect to a remote computer? What is a cloud connection? What is a direct connection? Must I be connected to the Internet? Do I have to configure my firewall and router? What’s my (username and) password? Can I connect when a computer is asleep, or powered off? Can I remotely access my tablet or phone from a computer? How do I configure VNC Connect? Can I configure VNC Connect remotely? How do I prevent users configuring VNC Connect? How long does a remote control session last? What can I do to boost picture quality or performance? Can I share my remote control session (screen)? Can I see who else is connected? What control do I have over monitors and resolution? How do I transfer files? Why can’t I transfer files? Why can’t I copy and paste text? How do I get debug logs?